(10) 12x12 backgrounds saved at 300 DPI for best print quality. A pretty year round palette of colors with bokeh effects, small florals, useful damask mixed with a neutral collaged background. 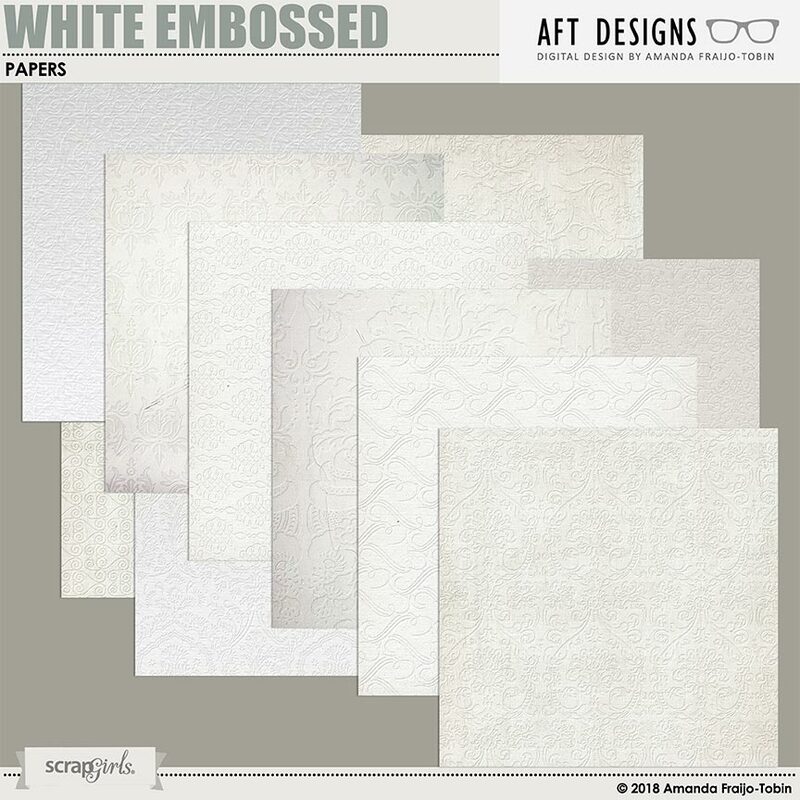 Use these pretty papers as the base for your next layout or use them as accent to illuminate your next digital scrapbooknig project. Coordinates with my other Illuminate items. Clipping masks for photos, papers and more. You will use these useful photo masks over and over for any occassion. Classic grey and white digital scrapbooking collection appropriate for any layout. Great for assembling a layout in a flash. Delicately embossed and ornate backgrounds. 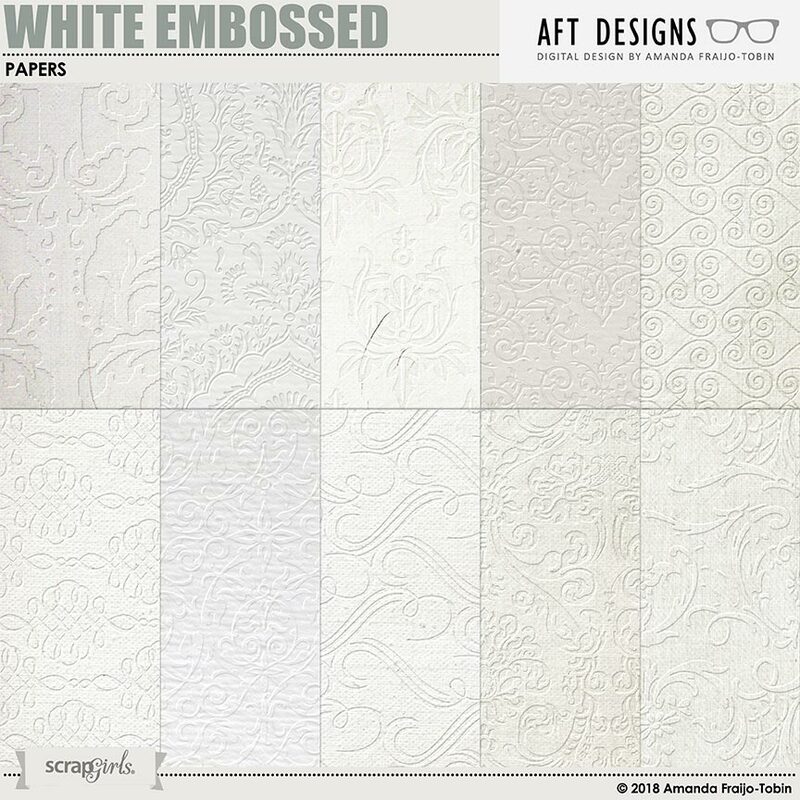 Great for any layout project - add a subtle and delicate touch instead of a boring black background! 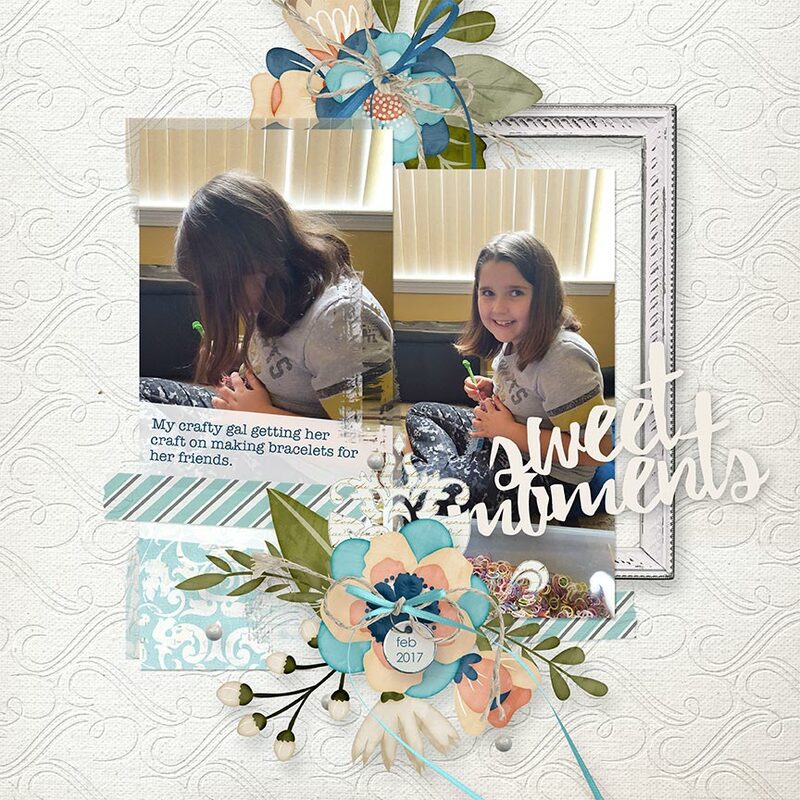 Torn, ripped, stitched, messy, painted digital scrapbooking edges. Add layers of unique touches to your projects with these embellishments. Coordinates with all my "Sweet" items.